Heroflon, represented by Dr. Eng. Cattivelli, is attending the conference "Innovations using Fluoropolymers" by SKZ - Würzburg, Germany on May 7-8, 2019 - discussing a brand new PTFE Compound development. This technical presentation, prepared by Claudio Cattivelli (Global Business Director) and Ken Yoshida (Product Development Manager), will be focused on a new Carbon Fibers complex able to improve significantly mechanical and tribological properties meeting the ever-changing demanding requirements coming from the automotive industry. Dr. Cattivelli's speech will be on Wednesday, 8th May at 10:45. Please, follow the link to read the full program. Please note that with deed of October 5th 2018 in Milan, the merge through acquisition of the company “I.G.S. S.r.l.”, with legal address in Rovato (BS), Via I Maggio 68, VAT Number and Tax Code 0168248098, in the company “Heroflon S.p.A.” with legal address in Collebeato (BS), Via Alcide de Gasperi 4, VAT Number and Tax Code 02042840179 took place. The acquiring company takes over without interruption all relationships, active and passive, pertinent to the incorporated company. Following the above merging operation, starting from October 6th 2018, for every commercial relationship and for all the correspondence please refer solely to “Heroflon S.p.A.”. The addresses of I.G.S. S.r.l. sites in Rovato and Palazzolo s/O will remain valid for deliveries and material collection. Please note that any invoices and fiscal documents dated 06/10/2018 onwards must be issued to Heroflon S.p.A. – VAT Number and Tax Code 02042840179. Thank you for your kind collaboration. A new location for Heroflon USA Corp. Starting from August the 1st, Heroflon USA Corp. office will be moved to Daikin America Inc. Headquarter, in Orangeburg New York, consequently our facility in New Jersey will be closed. 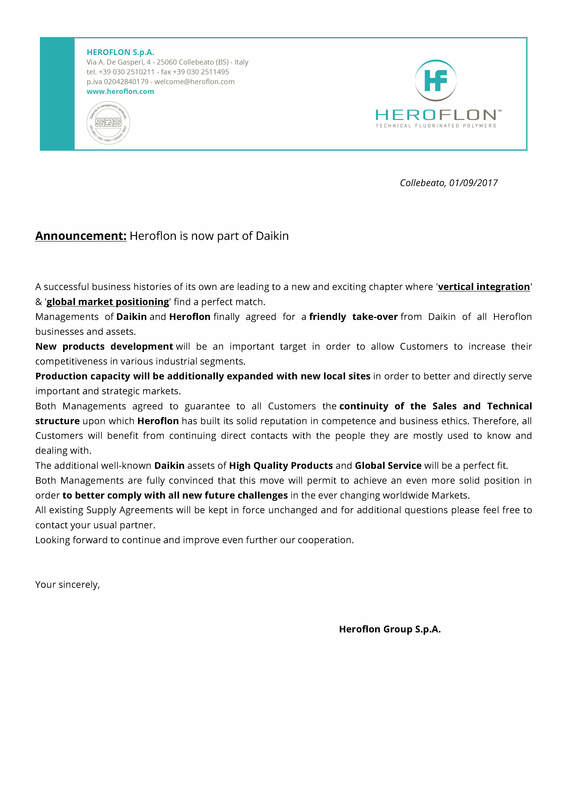 As a continuation of Daikin acquisition process, the relocation of Heroflon USA office is a natural step forward to an even further successful cooperation focused on guaranteeing the best possible service to all our customers. Heroflon will attend once again the international conference “Innovations using Fluoropolymers” which is organized by SKZ, the most important German organization dedicated to training and education within the plastic branch. The conference will take place on 25th and 26th April 2017 in Würzbur - Germany at the Marienberg Fort, as usual, and where all major players will be present as well as a large representation of the major users in the various industry segments such as Aerospace, Automotive, Hydraulic and Chemical. Dr.-Ing. Claudio Cattivelli, Sales and Development Director of Heroflon, will give a speech which is scheduled for Wednesday 26th of April at 9.20 AM and which will be focused on innovative conductive fillers in Herocomp PTFE Compounds. The presence at this special event confirms the excellent reputation and appreciation of the quality levels achieved by Heroflon in its own market of competence. The 4th edition of Compounding World Forum will take place on 12-13 of December in Philadelpia - USA and all main companies in this business segment will attend the event. Heroflon will be present with a technical presentation about PTFE micro-powders entitled "Fully fluorinated dry lubricants additives with improved bonding to the host polymer". Heroflon's speech will be on 13th December at 11:50 AM. Heroflon is glad to announce the participation at K 2016, the no. 1 International Trade Fair for Plastic and Rubber. Visit our online showroom following the link: http://www.k-online.de/exh_r/k2016/e/2494277 Would you like to schedule an appointment with one of our sales person? 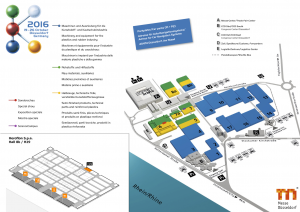 Please click here: https://www.heroflon.com/contacts/ Here below you can find the floor plan to easily reach us. Heroflon is glad to announce the participation to the 24th edition of Fakuma, one of the most important international trade shows focused on plastic materials that will take place in Friedrichshafen – Germany - from 13th to 17th of October. On this occasion Heroflon will be alongside its commercial partner Nordmann Rassmann GmbH in booth 5212 - Hall B5. Fakuma, which boasts a 30 year history, is an appointment not to be missed for all insiders and will be the perfect opportunity for Heroflon to show all its latest product developments. 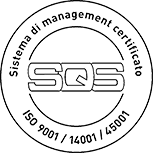 A continuously expanding internationalisation process, balanced and steady company growth, ever increasing the attention given to the human factor as the "capital" of skills and knowledge that a company has to offer to its customers. These are only a few of the reasons that have brought Heroflon to invest in human resources and to therefore further develop its sales network. Directly reporting to Dr.Ing. Claudio Cattivelli - Sales and Development Director - Heroflon's team has been expanded by the arrival of two new sales managers: Mr. Daniel Picha, a forty-two year old bilingual German-Italian salesman with many years of experience in the chemical, plastics and rubber fields, who will hold the position of Sales Account Manager for the German speaking markets, and Mr. Anton Davis who has more than twenty years of experience in the fluoropolymer field. He will hold the position of Area Sales Manager for the UK and Ireland, together with some other selected projects. These changes are important for us to ensure that we keep growing and achieve the aims we have set ourselves for the future. Clear and simple images, a distinct and evocative voice, a 30 year long company history concentrated in a brief but intense corporate video.